To practice in a nursing-related role in the state of Michigan, one must complete a state-approved program and pass the relevant certification examinations. Grand Rapids, Michigan boasts five excellent nursing education programs. Before committing to any one program, it is necessary to understand the different qualifications available to aspiring nurses and the nursing roles associated with each. Certified nursing assistants (CNAs) assist patients with tasks of everyday living in a variety of long- and short-term care settings. They must pass state certification examinations after completing a brief state-approved program, typically 8-10 weeks in length. Licensed practical nurses (LPNs) have a longer training period of 12-18 months and take the NCLEX-PN, which allows them added responsibilities including conducting medical procedures and administering medications. Registered nurses (RNs) earn licensure by completing an associate’s or bachelor’s degree program and successfully passing the NCLEX-RN. In addition to direct patient care responsibilities, RNs can also take roles in health education and direct some aspects of patient care. The major nursing employers in Grand Rapids include Spectrum Health Systems, Mercy Health, and Heart to Heart Hospice. CNAs in the city typically earn an annual salary between $22,000 and $28,000. 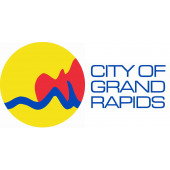 LPNs in Grand Rapids earn anywhere from $32,000 to $46,000 per year, and the city’s RNs take home between $52,000 and $68,000 per annum. To help those interested in beginning a nursing career in Grand Rapids, we have compiled below a detailed list of nursing schools in the area.